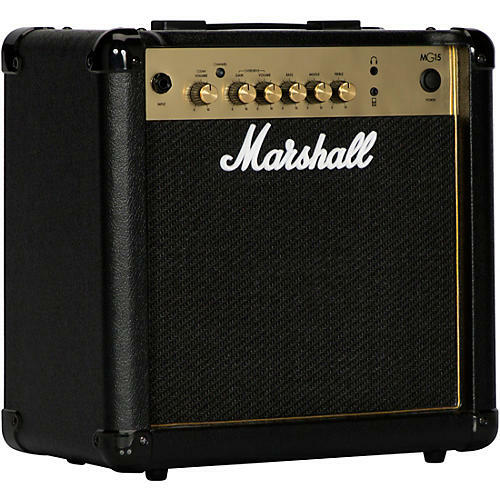 The Marshall MG series of amps delivers a range of classic and modern tones, with all the essential features that players need, and so much more. All the amps in this range are fitted with an emulated headphone output to make silent practice easier than ever. No matter what stage you’re playing on, these amps will look as great as they sound, thanks to their iconic gold piping and gold metal finish. The Marshall MG15 15W combo comes loaded with a single 8" custom-design speaker.